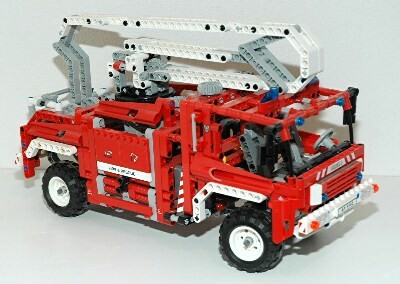 Only 3 Technic fire trucks have ever been made and they are all of a different type. 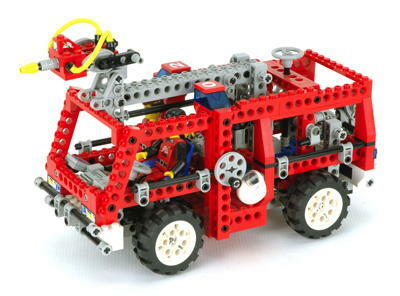 All are large models and the standard "fire engine red", but most of the similarities end there. 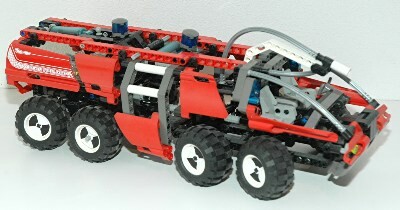 One comes with Technic figures and a hose boom which raises and lowers, one has a high reaching personnel lift, and one is an airport fire truck with 4 axles and 6 wheel steering. These are all great models but I think my favorite is 8289 due to the complex lift mechanism for the boom.